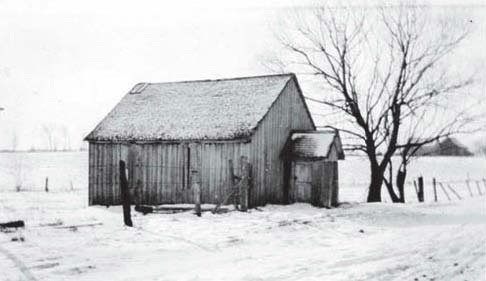 There was a school at "Ramsay's Corners" in 1845 (corner of Russell and Baseline Roads, before Highway 417 was built). 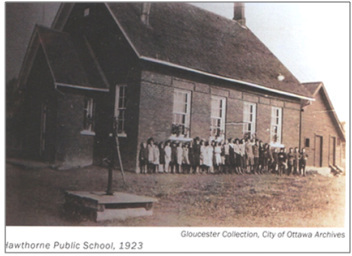 In 1894, a new school opened on Lot #20, 5th Concession, Ottawa Front, Townshp of Gloucester. The first teacher, T.V. Barnett, was paid a slaary of #375 per year for satisfactory service, or #65 if not. Winnifred Anderson taught 45 students in grades 1-9 from 1932-1934. In 1940, the school was the location for the "Dominion Registration" for the community. In 1946, Grades 7 & 8 students were transported by Capital Coach Lines to Hopewell Ave. School in Ottawa at a cost of $6 per pupil per month. 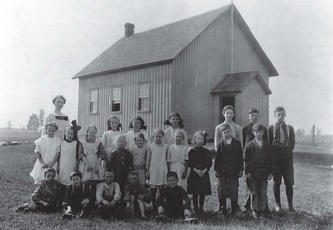 The one-room school closed at Easter 1953. The schoolhouse was sold to the Hawthorne Loyal Orange Lodge #407 for $5000. In 1976, The Top Generation Club rented the bulding from the National Capital Commission for $1 a year. 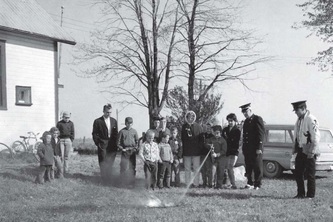 Grants from the Department of Health and Welfare and the NCC helped fund restorations. The Gloucester Horticultural Society began meeting at this facility in 1975 and continues to do so today. The cosy one-room school house is a National Capital Commission heritage building. 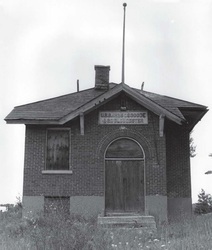 Hawthorne Public School was a one-room schoolhouse built in 1899 by John Alexander. 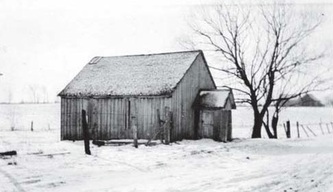 Prior to that, there was a wood-frame structure to the east of Russell Road since 1859. 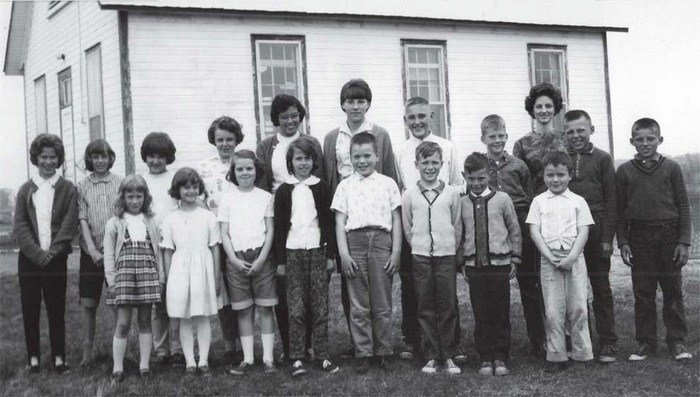 Several students speak very highly of their teacher, Vera Gorsline who taught in the school from 1927 until 1967. Students were encouraged to have self discipline - working away on their own until the teacher was dealing with their grade - while at the same time they couldn't get away with anything, and punishment was swift if and when they did break the rule. What really stands out in the book "Hawthorne Reflections", compiled by Laurel Sherrer for Hawthorne's 111th Anniversary, is how proud everyone was to attend this school. The Boundary or Quaile School School (S.S. No. 24 Osgoode & No. 28 Gloucester) was built on Thomas Quaile’s property (corner of County Road 8 and 8th Line Road of Osgoode) in 1904. The timbers that supported the floor went the entire 40-foot length of the building. Miss Jean McGee was the first teacher and Mr. R.H. Cowly was the inspector. Arthur Armstrong was the secretary-treasurer from 1915-1951. There were 47 teachers in all. Mrs. Ida Reaney taught for 17 years (1945-1962) and Mrs. Diane Wade was the teacher when the school closed in 1965. Students were bused to a new two-room school situated in Edwards. That school closed and pupils now go to Metcalfe Public School. The property was bought by Dave Mackie and the building demolished.